Commercial mobile services are playing an increasingly important role in the public-safety communications arena as they evolve to support first-responder features such as advanced push-to-talk, or P2T, capability and high-speed data transmission. But how pivotal a role commercial services can play in the near future of traditional land mobile radio systems is a continual topic of debate. Services such as Nextel Communications’ iDEN, which offers P2T capabilities and GPS applications, along with high-speed data services from other commercial providers (such as CDMA2000 1xEV-DO and GSM-based EDGE, or enhanced data rates for GSM evolution), are quickly making inroads into public safety as a way to augment mission-critical LMR systems and provide interoperability between jurisdictions. For example, dispatchers extensively use Nextel services to coordinate operations, receive reports from a scene and take live incident information. Police departments are using high-speed data services to conduct criminal background checks or tap into motor vehicle databases from remote locations. Yet the advent of third-generation wireless commercial networks that offer high-speed data services and low-latency P2T services combined with the increasing pressure on first responders to cut costs are setting the stage for an explosion of commercial services into the public-safety market. 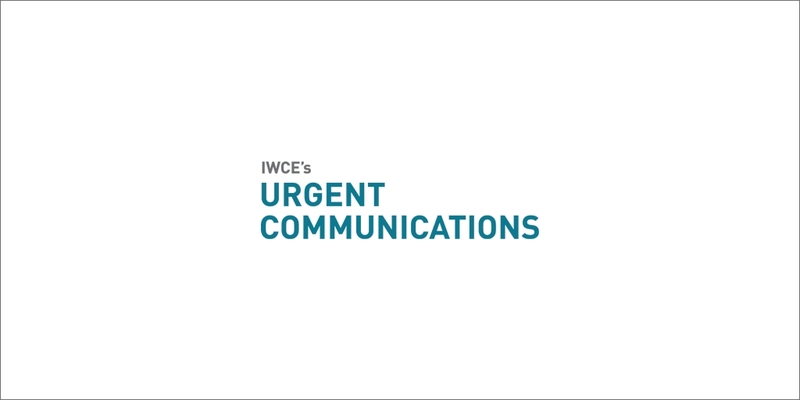 “Generally, I believe the private sector providers are trying more and more to provide what the public-safety service community needs in terms of communications resources,” said Bill Pessemier, executive communications systems adviser for the International Association of Fire Chiefs. Ericsson, the world’s largest wireless infrastructure manufacturer, has made the worldwide first-responder community a business priority in 2005 as it assists its global commercial operator customers by giving them the capabilities to sell products to local police and fire agencies. The primary driver is the move to packet-based networks that can offer real-time P2T services. The world’s competing 3G standards — CDMA2000 1x EV-DO Rev. A and wideband CDMA/HSDPA (high speed downlink packet access) — are evolving quickly to support P2T with latency below 100 milliseconds — a capability only Nextel has been able to offer in the commercial arena to date. Vendors say this capability has generated significant interest from first responders worldwide that are either looking to deploy their own networks based on commercial technology or partner with a commercial carrier. However, U.S. commercial operators, with the exception of Nextel — which is set to merge with Sprint — are coy to announce any plans for the public-safety arena. CDMA operator Verizon Wireless did not respond to requests for an interview. A Cingular Wireless spokesman characterized public safety’s use of commercial services as a natural progression. Local public-safety agencies are under increasing pressure from elected officials to simply use commercial services like Nextel’s rather than budget for expensive LMR systems. Pessemier, author of the IAFC’s recently released interoperability handbook, notes that a handful of the nation’s local jurisdictions, such as the fire department in Wilson, N.C., are relying more heavily on Nextel services, and the carrier has obliged by installing backup generators and hardening tower sites to make them more resistant to natural disasters. To many, that’s a dangerous proposition. Commercial systems today simply don’t have the reliability and redundancy features required for public-safety communications. Further, Pessemier and the IAFC recently came under fire for promoting the use of Nextel’s P2T service as an effective method to achieve interoperable communications, despite the fact that IAFC did not endorse Nextel as a replacement for a primary LMR system. “I do not believe today that any commercial carrier is ready to be a mission-critical primary system,” said Ben Holycross, radio communications manager with Polk County, Fla. Holycross witnessed this phenomenon firsthand as the eye of three hurricanes — Charley, Frances and Jeanne — traversed through the county over a six-week period last year. The county’s eight-site Motorola Smartzone trunked network stayed operational while all of the commercial carriers, including Nextel, lost service. “We lost the secondary systems of Nextel and other wireless carriers and lost a good deal of coverage on wireless data systems, but the mission-critical voice systems stayed on the air,” Holycross said. Holycross said public-safety and local government agencies throughout Polk County were heavy users of Nextel service prior to the onslaught of last year’s hurricanes. Based on Nextel’s poor performance during the hurricanes, the Polk County Sheriff’s Department canceled all its Nextel accounts, moving to Verizon Wireless, as did Polk County government agencies, although some accounts have been reinstated within the county government because some users are in need of the global direct connect feature Nextel provides, Holycross said. Nextel says it committed a combined $384 million in 2004 and 2005 to increase the capacity and enhance coverage of its digital network in Florida, including putting additional permanent backup generators in place for a total of 500 by the end of 2005, as well as increasing network capacity at a given cell site using more than 6000 base station radios. Ultimately, the role commercial services will play in public safety depends on funding. In order to penetrate the first-responder community at a deeper level, commercial operators must make investments that are contrary to their own commercial interests or find public-safety entities willing to invest to make such networks mission-critical. That’s not to say that Nextel isn’t interested in moving deeper into the mission-critical communications arena. However, the move must involve more of a public/private partnership to subsidize the expense of adding extra capacity and hardening cell sites, Meacham said. For example, Nextel doesn’t run a first-path T-1 line to every cell site as LMR systems do. The expense of doing this cannot be commercially justified today. Nextel President and CEO Tim Donahue recently said he believes the company’s iDEN network could be part of the “public-safety network of the future” after it offloads its consumer traffic to Sprint’s CDMA network a few years after the merger between the two companies. Previously, Nextel officials indicated that capital expenditures for the iDEN network would cease in 2007. But Donahue — speaking at the Lehman Brothers Worldwide Wireless and Wireline Conference in New York in June — indicated the iDEN network would be part of the merged company’s consumer plans longer than that. “The idea is to keep the iDEN core up probably through the 2008-2010 timeframe. At that point, it is my hope and desire that we can take the iDEN network and become a very strong public-safety network for this country,” Donahue said. He added that he believes Nextel’s iDEN network can play a key role in IWN. Meacham declined to talk about the specifics of such a plan because Nextel is still in the process of merging with Sprint. However, it’s clear the carrier is interested in a public/private partnership that would recognize the need for some subsidy to provide a backup layer at the carrier’s sites. In addition, governments that own sites could partner with Nextel, giving the carrier access to the resource without requiring Nextel to spend a significant amount of money on zoning and site licensing, Meacham noted. “All of that lowers our cost and allows us to change the return on investment to make it more feasible for us to help public safety,” Meacham said. Still, critics point out many unanswered questions to such a scenario, the answers to which may require new government regulations to accommodate the divergent needs of both commercial operators and public safety. These questions include: How much does each side contribute? How much control will public-safety entities have in terms of defining requirements and maintaining or repairing the system? How would the system be managed when it comes to priority users versus non-priority users? Who is liable if something goes wrong with the system? And how will commercial operators meet government security requirements? The industry is still developing the mandatory priority access features for first responders. To date, GSM operators Cingular Wireless and T-Mobile USA along with Nextel offer the ability to give first responders top access in emergency situations. But public safety wants more than priority access. It needs ruthless pre-emption that allows first responders absolute access, said Charles Werner, deputy chief of the Charlottsville, Va., fire department and a member of various public-safety communications working groups on local, state and federal levels. It’s an issue that will likely be debated and negotiated over time and will require FCC intervention, Pessemier said. Commercial vendors say there are ways to implement a crisis-management plan for commercial spectrum, earmarking it for use when congestion is at its worst. Ericsson’s McGhee notes that public-safety agencies in other countries are looking at the mobile virtual network operator (MVNO) model — wholesaling minutes from commercial operators to create their own virtual public-safety network. The MVNO model is quickly heating up in the U.S. on the commercial side with companies such as Virgin Mobile and ESPN targeting heavy data users. Government regulations also would need to protect commercial carriers from a lawsuit, if for example, a police officer is killed in the line of duty because the communication system failed. Until legislators release commercial carriers from liability, carriers are not going to actively declare themselves a part of the public-safety communications sector. At any rate, advocates of commercial networks and even some detractors say it’s inevitable that commercial services will make greater inroads into public safety. The question is when.